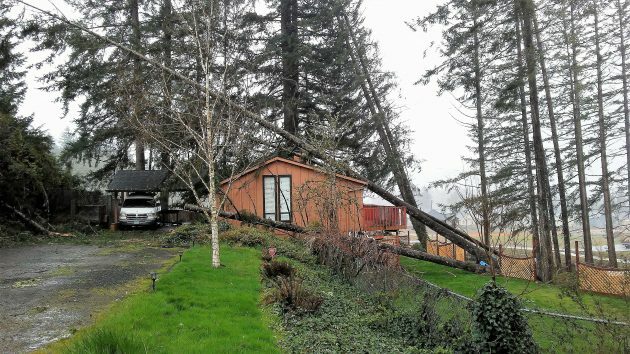 Trees lean against a house on Hillcrest Street N.W., near the entrance to North Albany County Park, after Friday’s wind storm. 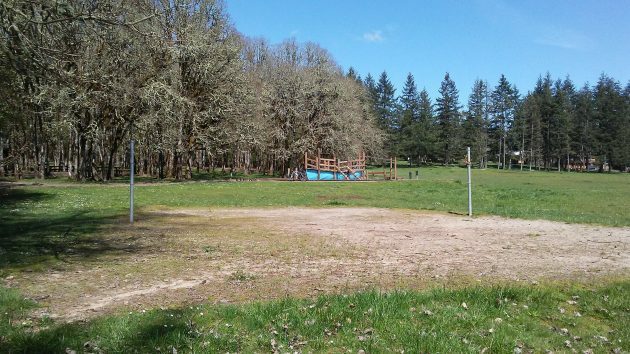 Benton County has completed a conceptual master plan for North Albany County Park, where more than a hundred “hazard trees” weakened by drought and bugs were removed last year. Friday’s windstorm felled a few more, laying them across a house near the entrance to the park. The county developed the master plan after gathering public comments last year. The plan also covers a wooded natural area, separate from the park, near the corner of Valley View and Crocker Lane that was donated to the county by the developer of the Albany Heights subdivision. A path running through the subdivision would connect the wooded parcel to the park. For the park itself, the concept envisions upgrading the existing playground and adding a new one, at the southwest corner. Also planned: Replacing the restroom, upgrading the main shelter, building a basketball half court in the place now taken by a volleyball court, adding some parking, and designating an area where dogs can be let off their leashes. There would be pedestrian entrances connecting the park to new subdivisions to the east and west. Check out the maps showing the master plan concepts here. 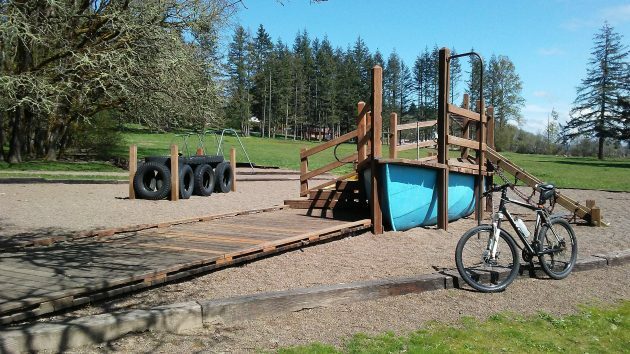 The county will evaluate the safety and maintenance costs of the playground boat. The plan shows a half court for basketball in place of this sandy patch for volleyball. A Pickleball court would be nice! How about a Thunderdome Arena to settle differences amongst N. Albanians. Two goes in. One comes out. Took a drive over to set eyes on it myself. Makes Benton County look pretty smart for ordering the “clear cut” this past summer. Another large tree down at the SW end of the park. Time to call in a clean up crew.